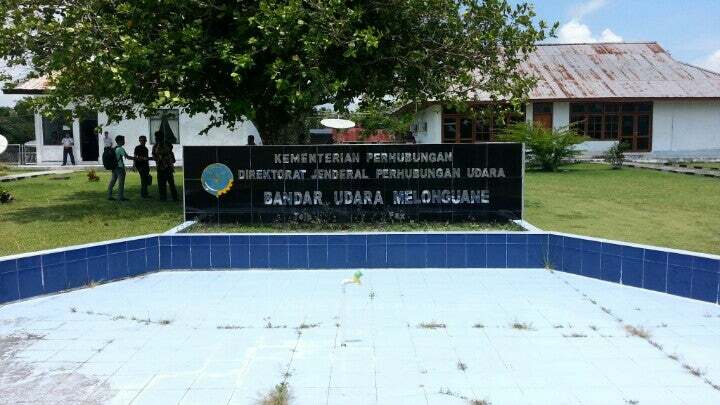 Melonguane Airport (Indonesian: Bandara Melonguane) (IATA: MNA, ICAO: WAMN), is an airport near Melonguane, Talaud Islands Regency, a city in the province of North Sulawesi on the island of Sulawesi in Indonesia. Melangguane Airport is domestic airport located in Melangguane, North Sulawesi , Indonesia and serves domestic and rare international flights to 1 different destinations, connecting Melangguane, North Sulawesi with Indonesia. The most popular destinations to fly to from Airport are Menado / Dr. Sam Ratulangi . The longest flight you can take is to Menado / Dr. Sam Ratulangi (1:05 hours) .